Home / News / Is your office an environment where people want to come to work? Is your absenteeism rate high? Are your staff happy and collaborating or are they too silent? Is work quality riddled with regular errors and too many missed deadlines? Are people always snacking or frequently on cigarette breaks? Healthy workplaces are positive and productive. They are environments which promote and maintain mental health and wellbeing. Research shows that mentally healthy workers are more productive and are less likely to take sick leaves. In Australia alone, people attending to work while sick is costing the economy about A$34.1billion a year of lost productivity. This is known as presenteeism or showing up to work in spite of medical problems such as back pain, headaches, or mental health issues which is proving to be an expensive problem. Absenteeism, on the other hand, is costing Australia an estimated A$7 billion a year. Today, many workplaces are already using design to promote a holistic state of well-being for people at work. Leading organisations provide work environments that support user control, natural elements and daylight, and changing postures, they address the physical and psychological health of people—enhancing engagement, creativity, innovation, and retention. 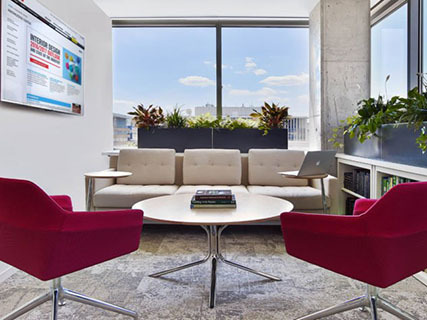 Good workplace design fosters well-being—which leads to success for organisations. • Office design improves indoor environmental quality, environmental satisfaction, employee health and wellness, employee retention, employee performance, and resource efficiency. • Office design shapes the social environment and boosts employee performance. • Office design, especially when job demands or office culture support the messages communicated through the design, intensifies the power to make cost savings. There are numerous reasons why investing in programs to enhance worker health and wellbeing makes good business sense. Put simply: healthy workers = healthy organisations = healthy business performance. Investing in your office interior design used to be just “nice to have”, but with solid research backing the numbers, your workplace design can be a valuable investment. The costs of employee illness and lost productivity are rising and even simple changes can have a huge impact. 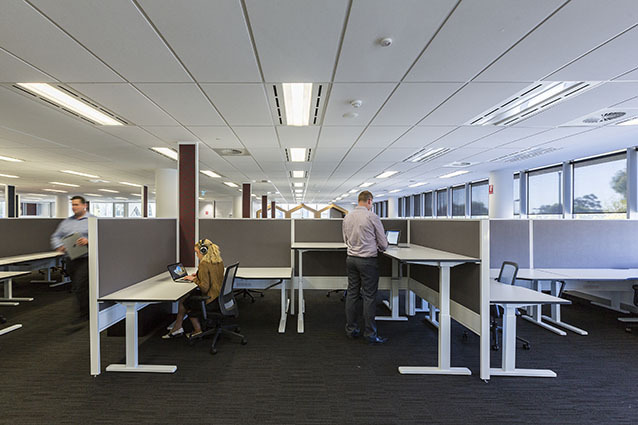 Wurkspace 7 has been helping organisations provide environments that support and encourage employee well-being. Ensure your organisation’s well-being today by designing a workplace that is engineered around creating healthy and positive choices.